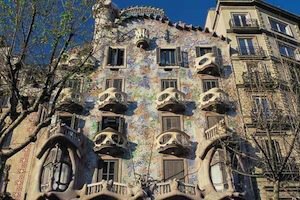 Let’s follow Gaudí’s traces across the city, with this Gaudí tour you will enjoy his incredible artworks. 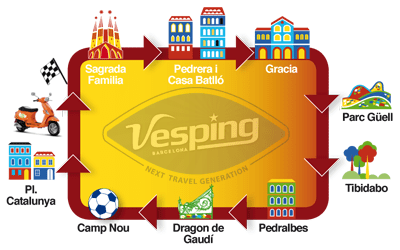 For this tour, choose Vesping: Save money and time! The Basílica i Temple Expiatori de la Sagrada Família, aka Sagrada Familia, is Antoni Gaudi’s biggest unfinnished work of art. This masterpiece is inscribed on UNESCO’s World Heritage and has become a symbol of Barcelona. This modern cathedral has been under construction since 1882 and is not slated for completion before 2028. Even if private donation are accepted, the principal income font, is the money from the selling of tickets which is mainly used to support the construction. 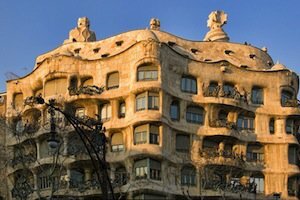 The Casa Milà, commonly called “La Pedrera”, is located on Passeig de Gracia and is part of the UNESCO World Heritage. Antonio Gaudí built the Pedrera for a rich family: the Milà. This house was thought to be a luxury hotel. It is branded with the genius of its architect. This piece of civil architecture is a real break with the perception of architecture at the time. The other masterpiece of Gaudí on the same street, is Casa Batlló. Built in just two years (1904-1906) for the textiles industrialist Joseph Battló, is today an iconic landmark of Barcelona. 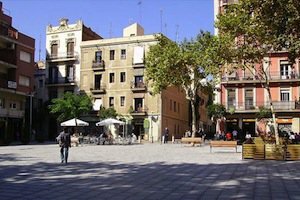 Vila de Gràcia is commonly called Gràcia and is a district of Barcelona located above Avenida Diagonal. Formerly a separate village, Gràcia didn’t have any connection with Barcelona (which was limited to the actual city center). Eixample was then built up as a connection between Gràcia and Barcelona. Today this neighborhood is filled with small shops, restaurants, bars and is said to be a traditional district of the Catalan capital. 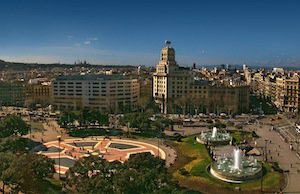 Don’t miss its narrow squares such as Plaza del Sol, Plaza de la Virreina y Revolución de 1868 and its main streets as Calle Verdi, Calle d’Astúries y Traversera de Gràcia. 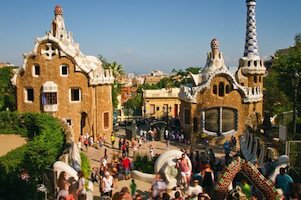 The Park Güell was originally thought by Gaudí to be a garden-city with around 60 houses. He started to design the park to encapsulate harmony of nature and architecture. Unfortunately, the financial supports he received to develop this project were cut and him was forced to cease. Two houses out of 60 were built and the park was never finished. Today the Park Güell is the most unique and original public park of the city. From October the 25th of 2013 the entrance will not be free anymore. Tickets are available on the Park Güell Official webpage! The Tibidabo is a mountain overlooking Barcelona. From there you’ll have one of the best view over the city. Once there, you’ll find an amusement park, a Catholic church where is still celebrate the Mass in Catalan. 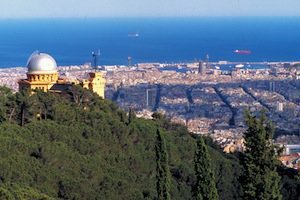 Don’t miss the Tibidabo funicular railway built in 1901, the first of its kind in the whole territory at the time. 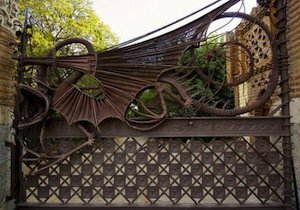 In Avenida Pedralbes, boulevard of the richest residential area of Barcelona, you can admire this incredible hand made iron gate. It is the entrance to the magnificent Pavellon Güell. 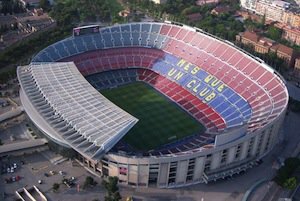 The mythic Camp Nou was built in 1954 and opened its doors in 1957. Since then, the stadium has become famous for its games. It can host up to 90 000 people and apart from football games, it also gave concerts and shows. Today you can visit this special stadium and learn about the FC Barcelona by entering the Camp Nou Experience, the Camp Nou museum. Today it is the most visited museum in Catalonia. Welcome to the heart of Barcelona, where buses, metros, main streets meet: Plaza Catalunya. This place is a central meeting point in Barcelona and is said to be the nerve of the Catalan capital. It is the physical frontier between the city center and the Eixample district. From there, you can go to Las Ramblas, El Portal del Angel or Passeig de Gracia. 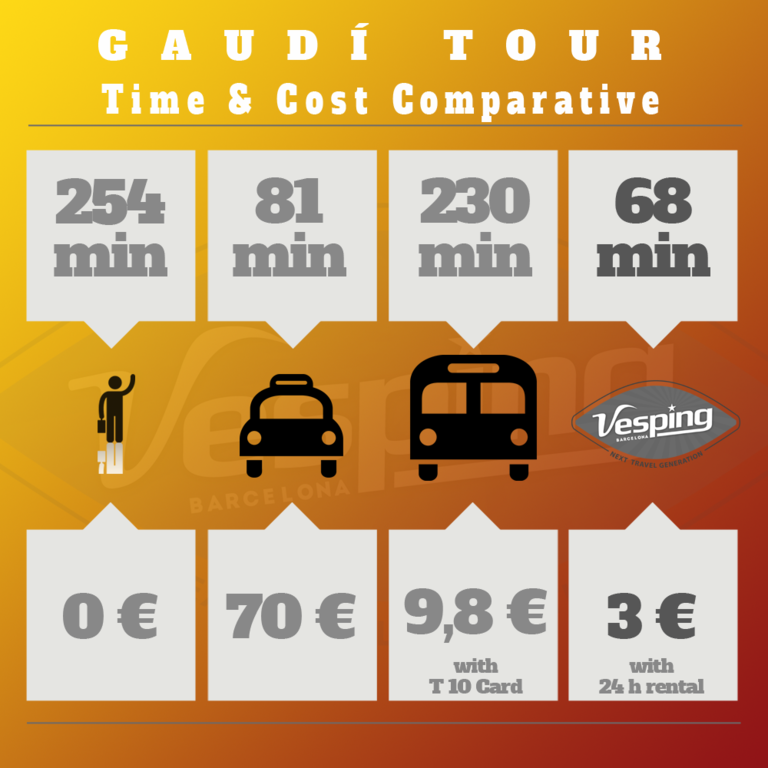 See Gaudí Tour’s prices and conditions!